SERIES: I CAN DO IT! Learn important maths skills in this wipe-clean and pull-the-tab novelty board book that supports school learning in the home. The answers to over 100 adding questions are revealed when you pull-the-tabs, helping children to learn some fundamental maths rules and to gain number and addition confidence in no time at all. Use the wipe-clean pen to write the answer to each sum, then pull the tab to check your answers! 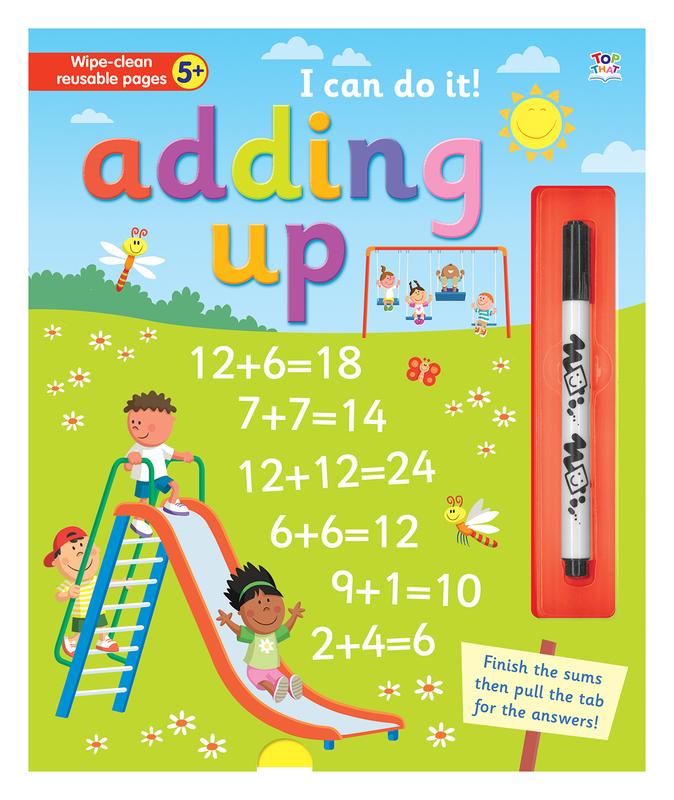 A perfect novelty board book to promote numeracy for children age 5 and up. Simply wipe clean and use again and again. Pull tabs on every page! Established children's author Nat Lambert has been writing children's books for the past ten years. Born and raised in London, Nat started his writing career after graduating from UCL and has penned fiction and non-fiction titles for leading publishers throughout the world, including Barnes and Noble, Hinkler, Scholastic and Imagine That Publishing. Andrea Petrlik was born in in Zagreb, Croatia. She graduated in graphic arts from the Academy of Fine Arts in Zagreb, and has since illustrated over 20 picture books as well as many activity books. Andrea was awarded the Grigor Vitez award and the BIB (Biennial of Illustrations Bratislava) Gold Plaque 2003 for her book 'The Blue Sky'. She has also won the Oita Biennial Grand Prize 2004 and was nominated for the IBBY Honour List 2002.